The free offer links posted on the Bingo fan page are time-limited, usually, the link is active for 3 days. If you click on our official links and you don't receive anything, it's most probable that the offer for that link has expired. 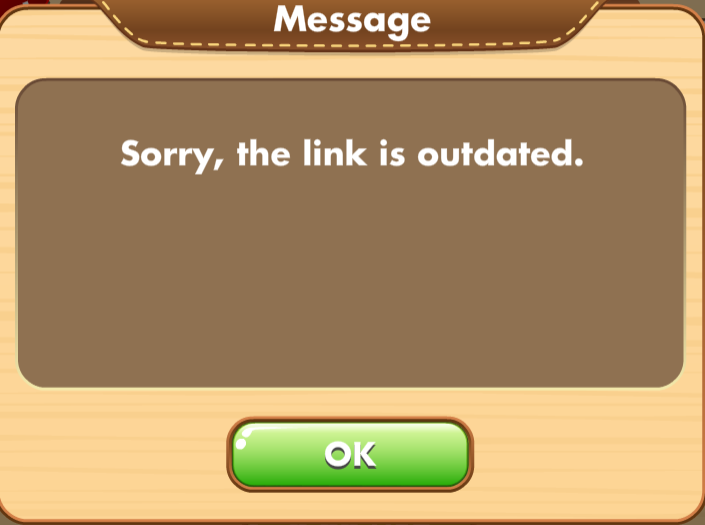 Usually, you'll be notified of this by an in-game pop-up, like on the picture.